From leaders Sephora and Ulta to relative newcomers Glossier and Birchbox, beauty is killing other sectors. Here’s how. From retailers who are at risk of going bankrupt to those who already have, the bad news for retailers just seems to keep on coming — and marketers have their own host of problems. A vast majority (88%) don’t feel confident about emotionally engaging customers and a shocking 75% aren’t confident that their data is reaching in-market consumers. So why is it that the beauty sector seems to be posting so much good news? Ulta’s online sales grew 63% in the third quarter, Sephora’s in-store experiences are blowing other retailers out of the water (in fact that retailer also took home Retail Dive’s Store Concept of the Year award) and Glossier is one of the most disruptive companies of the year. Either there’s something in the water at these powder-filled palaces or the rest of retail just isn’t learning the lesson here. “Experience” is a buzzword in retail today, with companies falling over each other to create a store with the right atmosphere, the right price points and loyalty programs, and a unique format. But beauty, more so than any other sector, has been at the forefront of that trend. Storefronts in that category tend toward the experiential — and none more so than Sephora’s. The brand’s Beauty TIP workshops actually encourage shoppers to play with products before making any purchases, and the newest store concept offers similar experiences, albeit designed for perhaps a more serious beauty customer than one shopping the Beauty TIP stores. The retailer has also launched a social media platform specifically designed for loyalty members to talk to each other about products and have beauty-focused discussions. Still, in order for an experience to be successful, shoppers have to find value in it — and that’s easier said than done. According to Hana Ben-Shabat, a partner in the retail practice of global strategy and management consultancy A.T. Kearney, Sephora’s success comes in part from the retailer’s reputation for always having the newest and best brands — something that invites shoppers in to test products out. Indeed, even with Sephora’s Instagrammable store concepts, free in-store classes and overall tight-knit beauty community, Ulta is posting remarkable growth — especially online. In August, the retailer’s net sales rose 20.6% to $1.29 billion and e-commerce sales climbed 72.3%. The most recent quarter saw 63% growth in online sales and a net sales increase of 18.6%. Beauty’s success with the in-store experience is also bolstered by technology, though. According to Jason Goldberg, senior vice president of content and commerce at SapientRazorfish, a lot of that has to do with how retailers in the space have found effective uses for the tech — and have largely avoided adding it into stores just because it’s new and shiny. But it’s worth asking how much of that success is due to the genius of beauty retailers and how much should really be chalked up to the category, which lends itself much better to an experiential form of retail than some other sectors. 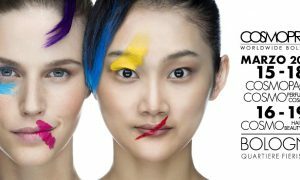 Sure, technology has been huge in the beauty sector lately: Estee Lauder and L’Oreal both hired new CIO’s in October and the former also launched makeup training using AR in December. Lancome added a virtual mobile try-on feature at the end of October (Sephora’s had one for years) and MAC Cosmetics just launched an in-store AR mirror — all with the goal of helping customers test out products before purchasing them. While that’s all very impressive, beauty retailers might be getting a little more credit than they deserve, Goldberg points out. To some extent, today’s technologies just make more sense in the beauty category, where it’s actually useful, than in some of retail’s less-successful categories — and it doesn’t hurt that beauty encourages a very hands-on form of shopping. 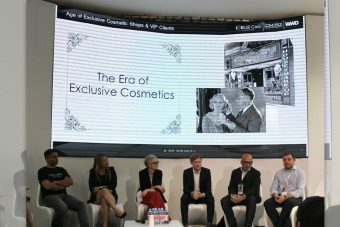 Demand in the beauty sector has also been higher than in a lot of other categories right now, Ben-Shabat said, calling it “a renaissance period” for beauty. That’s part of the reason newcomers like Birchbox and Glossier have managed to successfully break into the market, with Birchbox reaching profitability in April, Glossier making plans to expand overseas and rumors of a Birchbox acquisition beginning in early August. Online growth has also been huge in the beauty sector and the NPD Group found that, looking at annual 2016 dollar performance, sales at department stores were down by 5%, whereas sales at specialty beauty retailers grew by 18%. Ben-Shabat also pointed to similar findings at A.T. Kearney, which found that at the end of September 2016, makeup was up by 16% year-over-year. This September, growth slowed down to 5% year-over-year, but that doesn’t mean those retailers are any less successful, she said. “Everybody is subject to fluctuation in demand and that will always happen, but I think that when you constantly innovate, you somehow — I wouldn’t necessarily say you bullet-proof yourself — but you proof yourself for those lower cycles,” Ben-Shabat said. So yes, beauty retailers are blessed with a category that is inherently experiential, lends itself well to new technologies and currently is in high demand. But the culture of innovation that surrounds these colorful retail candy lands also plays a hand in keeping them one step ahead of the game. Beauty wasn’t always a runaway success: It was built by design. Not that long ago shoppers were buying cosmetics at the nearest department store, before Birchbox revealed what subscription beauty looked like and Sephora demonstrated what it means to be an experience-first retailer. Then those success stories spawned more beauty efforts at retailers from Brandless to Forever 21. How did they do it? With a dedication to innovation and experimentation that focused on providing something better than what traditional retail had given us. These retailers haven’t stopped the innovation train, either. Just this season, Glossier used the holidays to test out pop-up shops, a startup called Prose raised over $5 million for custom shampoo and companies like Deciem are turning to social media to grow huge followings. It’s hardly over for retailers looking to get into the market, like 7-Eleven, or for retailers that are already well-grounded. 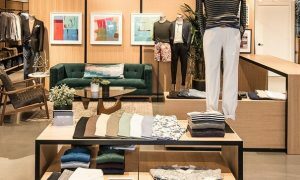 Specialty retailers in particular look to have a bright future, according to Fung Global Retail and Technology. The company found that 18-34 year-olds were much more likely than their older counterparts to buy from Target, Sephora and Ulta for their skincare and cosmetics needs, rather than Walmart and Amazon (although those two are still doing just fine in the beauty sector). 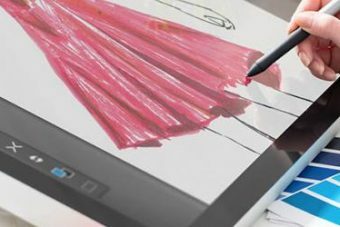 Retailers looking to match beauty’s success could take a lesson from their innovative thinking, especially when it comes to technology, Goldberg said. A focus on utility is especially important at a time when many retailers seem to be adding in tech just for show. “In reality, most of the magic mirrors haven’t dramatically improved the try-on experience in a dressing room and most of the virtual reality fashion shows haven’t dramatically made it easier to shop for apparel in apparel retail,” Goldberg said, suggesting that retailers be more strategic about their technology investments and make sure they’re solving a pain point for customers with whatever they implement. 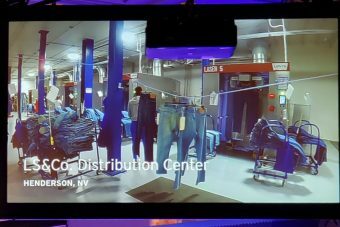 Indeed, apparel is another very physical, experiential category of retail and yet, despite chatbots that help you find the right jeans at Levi’s and shoppable fashion shows at Tommy Hilfiger, apparel retail just isn’t having the best success — and until a disruptor shakes up the market and redefines the way we shop for clothes, it could be a while before there are signs of success.